If you need a work boot you can trust, the Matterhorn and Corcoran company is unmatched. Their patented technologies bring you the best protection and durability possible. For more than 80-years, Matterhorn has been synonymous with quality. In fact, their boots covered the feet of U.S. paratroopers behind enemy lines in World War II. 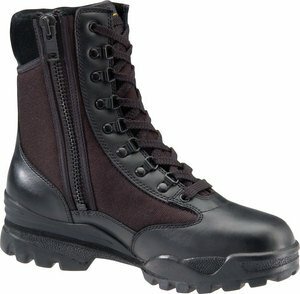 Known for their innovative and rugged designs, Matterhorn provides all areas of work boot for both men and women. Often featuring steel-toe reinforcement, as well as internal steel-guards, these workhorse professionals keep you safe in some of the world’s most rugged terrain. Puncture-resistant soles support every boot in their line, while a host of special features are available across multiple models. We’ll walk you through some of our top picks for this industry standard footwear. There’s a ton of options to choose from in their catalog. So, we’ve tried to narrow things down. We’ll cover specific categories of work boots that you can benefit from in multiple areas. Whether it’s hiking, rescue work or spelunking, we’ll compare the top designs that will keep you safe and secure. From TigerTip composite toes to Gore-Tex membranes, there’s a model of Matterhorn that was built for your needs. So, let’s look at what this boot has to offer. The following are a good representation of the different styles available today. And, don’t worry if your application of these boots doesn’t fit perfectly. Their models are made with multiple functionality and diverse applications in mind. 100% Leather spit shine boot. 10” full-height speed lacing system for quick prep. 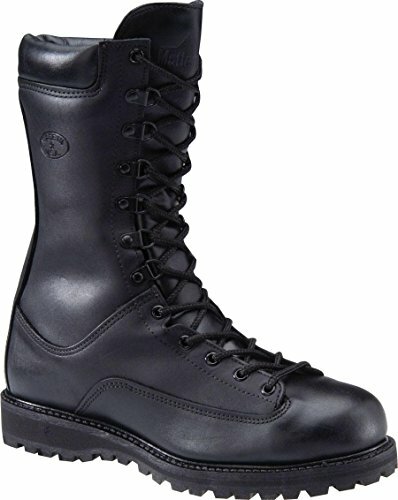 A handsome yet rugged military grade boot, the Corcoran 10-inch Safety Toe Field-M offers superior, all-day protection. With 100% spit shine leather and speed lacing, these elegant boots are easy on, easy off. Built for all day comfort, the removable DRYZ inserts, pad and cushion your feet. Also, they absorb shock to protect you from impact. Because of this, these are ideal as a field boot and will keep your feet less fatigued. What’s more, full ASTM-approved steel toe tips protect the front end of these boots. So, when objects hit them, you won’t feel a thing. 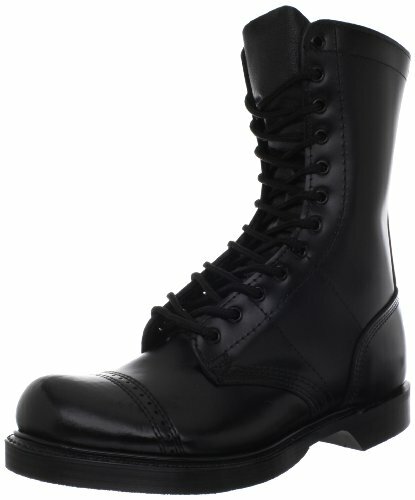 That’s a must for military boots and an invaluable protection anywhere. Though these boots are not waterproof, the full 10” lacing helps to prevent moisture from penetrating. Also, with special webbing reinforcement in the ankles, these boots will fit better and feel especially secure. Great all-day comfort with removable DRYZ insert for shock absorption. Speed lacing system helps put on and remove quickly. Good looking 100% leather, spit shine upper. Webbing reinforced for ankle support and superior fit. As a great-looking, all day military grade boot, we highly recommend the Corcoran Men’s 10 Inch ST Safety Toe Field-M. First, they’re built to last and will keep up with your work day. They will minimize fatigue while absorbing impact. Second, with steel reinforcement to protect you from falling objects, these boots will have your back for all-day comfort and stability. Durable 100% spit shine leather. Soft leather breaks in easy. Another great military grade Corcoran is the Jump Boot. This model is reminiscent of the original jump boot that Corcoran released. Though the leather is slightly thinner than the original, this model offers top quality. In fact, the softer leather helps to break these boots in fast. That means more comfort. A 100% leather upper creates a spit shine attractive look. But, because these boots lack the steel toe, the upper has a more casual appearance. What’s more, with no internal lining, these boots fit extra comfortably. Able to perform well as a military boot, these also work well as a daily casual boot. If your going for the military look but don’t need the extra bulk, these might be perfect. Also, a well-designed arch support helps to keep the Jump Boot comfortable for longer periods. That makes this one perfect for all day missions, even if that mission only brings you to the supermarket. Goodyear, oil-resistant soles create a rugged foundation. And, with the extra piece of leather sewn between the upper and sole, it’s especially easy to replace the soles. That means the long haul for these boots. They’ll be at your feet for years to come. 100% soft, spit shine leather upper with a casual look. 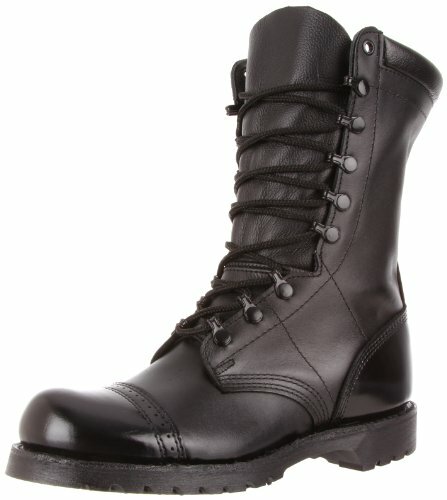 A great military grade 10” boot, the Jump will keep you looking good and comfortable. We recommend these for active duty as well as for style. Since these boots lack an internal lining, it makes them especially lightweight for everyday use. Though they’re not waterproof, the oil-resistant Goodyear rubber soles keep things stable. Virbram Fire & Ice Sole. For those looking for a rough weather boot that can stand up with the best of them, this is it. This might be our top choice, just because of its durability. First, keeping in mind weather proofing, this Corcoran Gore-Tex is completely waterproof. These boots can make it dry through a heavy rain storm. Because of the breathable waterproof Gore-Tex, cold air can occasionally find its way in. That said, in a non-Antarctic winter with rainy conditions, they’re awesome. That’s thanks to the 200-gram Thinsulate insulation. Your feet stay toasty in some pretty raw conditions. The 100% full-grain leather also helps to keep moisture and cold from your feet. And, because of the patented Vibram Fire & Ice sole, water will not find its way through from the ground level. The Goodyear, flexible rubber, helps these boots to bend with the conditions while maintaining top durability. We got the chance to test these babies on a particularly rugged hike last winter. They stood up impressively, and socks remained dry. 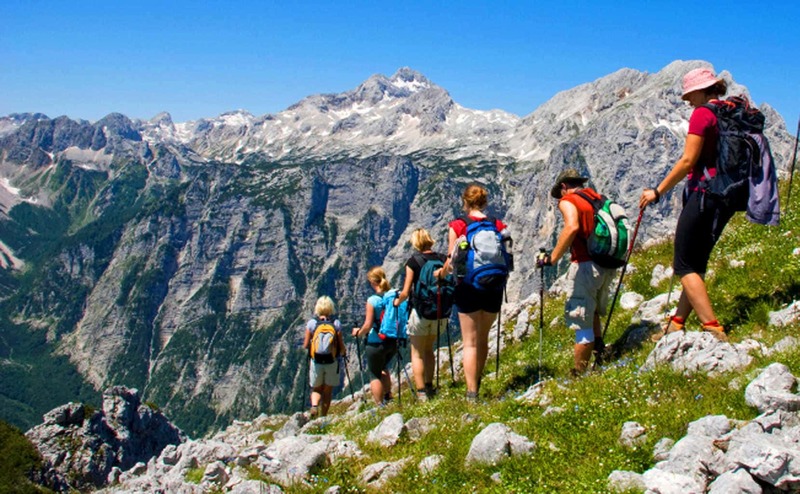 What’s more, they were exceedingly comfortable for the long hike, even after hours on our feet. Breathable and comfortable interior liner. Though billed for winter weather, these probably won’t cut it in below freezing temperatures. For a pretty heavy-duty winter boot that is exceedingly comfortable, we recommend the Gore-Tex Field boots. If worn in average to very cold temperatures, you’ll be warm and dry all day long. That said, in extreme cold weather, the weather might make its way in. If used in an average American winter environment, these are a solid and sturdy winter boot. 3-ribbed shank for extra protection in the field. Goodyear welt rubber sole construction. Next, one of the coolest looking pair of boots we’ve reviewed is the Corcoran Field Work Boot. First, these things look military, and add class to whatever situation you find yourself in. Second, these are ideal for construction and field work where flexibility and protection are important. Although these boots don’t offer a steel-toe, they are still very secure. What’s more, one of the great features is the quick lace system. Find the boots the way you left them, slip your foot in, and that’s it. The laces are already in place to tie. And, that’s important when getting suited up fast is a priority. Furthermore, the 3-ribbed shank gives in even stronger feel to these boots. And, the Goodyear welt rubber sole is puncture-proof and slip-proof. They are also oil resistant, and won’t collect residue when in slick situations. Because the tongue is made of a softer leather than typically used, they are super comfortable. That said, this model doesn’t stand up ideally for extreme weather, and they are not waterproof. 3-ribbed shank for added protection and durability. Goodyear non-slip and oil resistant puncture resistant sole. Not made for extreme weather. All in all a great and attractive field boot for mild weather is the Corcoran Work Field Boot. Though not ideal for rain and snow, the Field Boot will stand up to some pretty tough situations. Furthermore, this is one of the most fashionable boots we’ve reviewed. If you’re looking for a cool style in the military design, this might be a perfect choice for you. Ultra durable YKK side zipper. Next up, we wanted to include a boot that is great in hotter climates. The Mach Zipper boot, features a steel-toe construction with a side zipper for extremely fast on/off action. This is of crucial importance when working in the field. Because of this, this is a great rescue worker boot, since it can be accessed and worn fast. Although it has laces, the zipper can be utilized independently to ensure you’re always ready to go. With cement construction around the housing of this boot, they are extremely durable. And, for non-slip action while working, an oil-resistant non-slip sole covers the bottom. In addition to the steel-toes, steel shanks add stability and protection. But, what makes the Mach Zipper Boot so good in hot climates, is the removable DRYZ cushioned inserts. This insert wicks away moister and can be removed for fast drying. That keeps things comfortable and dry, all day long. Removable DRYZ moisture wicking insert. Not ideal for extreme cold. A great emergency worker or field boot, the Mach offers the easiest access for fast on/off readiness. That said, we strongly recommend these for those who are working in hot environments and need added protection. Furthermore, with a steel-toe and steel reinforced shank, these boots will take a beating and keep you safe all day long. So, with this many options to choose from, it can be daunting. It helps to know in advance what you’ll be using your boots for. For as many jobs and situations that you’ll find yourself in, there are as many Matterhorn Corcoran boots to choose from. One of the main differences in the currently available styles, is whether the model is waterproof or not. That’s one of the easiest specifications to shop for. For wet or rainy situations that require an all-day comfort, we highly recommend the Corcoran Men's 10 Inch GORE-TEX Waterproof Insulated Field Boots. These ones offer the security you’ll need to work in some messy environments. Plus, they remain comfortable for the long haul and keep your feet warm and dry. 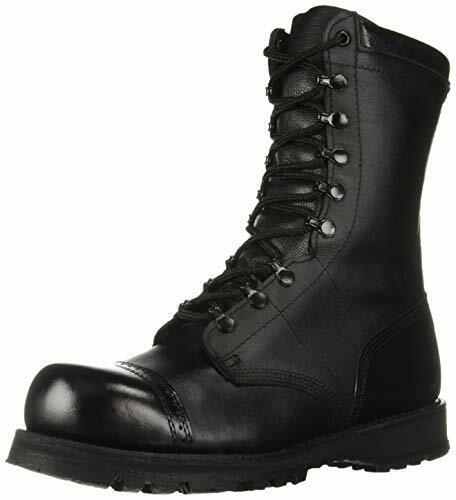 For those needing a strong work boot ideal for military or field situations, we recommend the Corcoran Men's 10 Inch ST Safety Toe Field-M. With its steel-toe reinforcement and 100% spit shine leather, this one has a classy look and remains comfortable for those on their feet. Also, the quick lacing system will keep things easy when suiting fast is a requirement. With the top-notch quality of these famous boots, you really can’t go wrong. The Matterhorn Corcoran company stakes its reputation on providing the best work footwear around. Furthermore, regardless of the option you decide to go with, you’ll have safety and comfort at your feet no matter the environment.